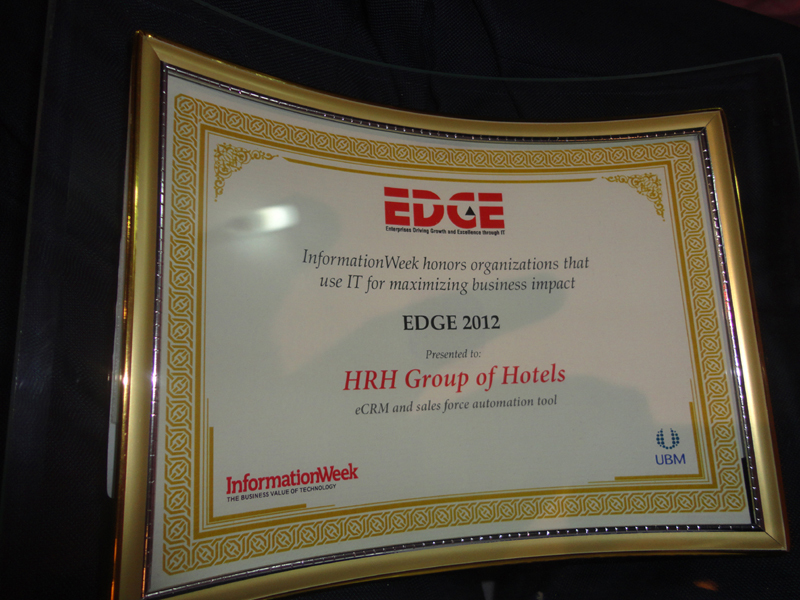 HRH Group of Hotels has received the prestigious EDGE award in the field of Information technology. 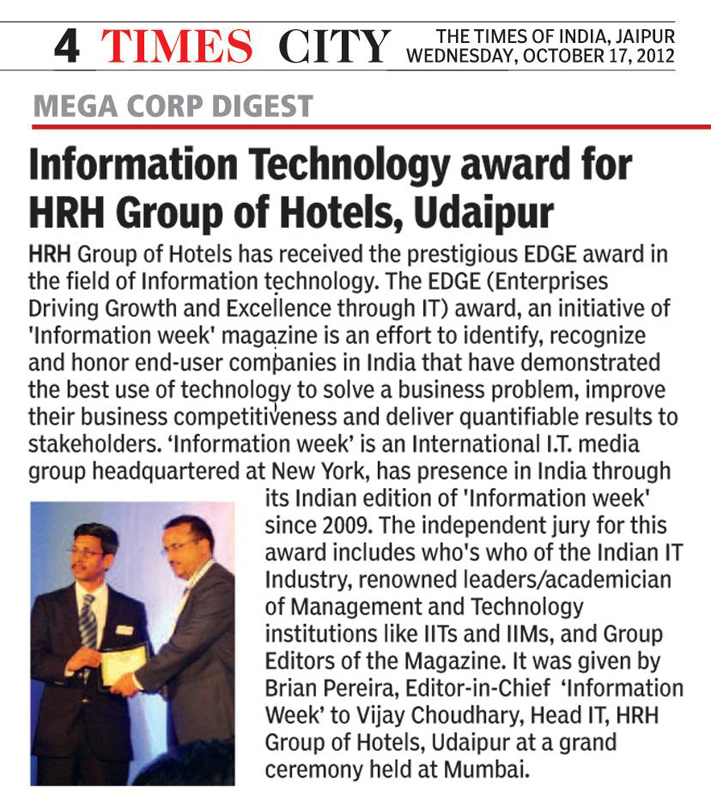 The EDGE (Enterprises Driving Growth and Excellence through IT) award is an initiative of "Information week" magazine is an effort to identify, recognize and honor end-user companies in India that have demonstrated the best use of technology to solve a business problem, improve their business competitiveness and deliver quantifiable results to stakeholders. "Information week" is an International I.T. 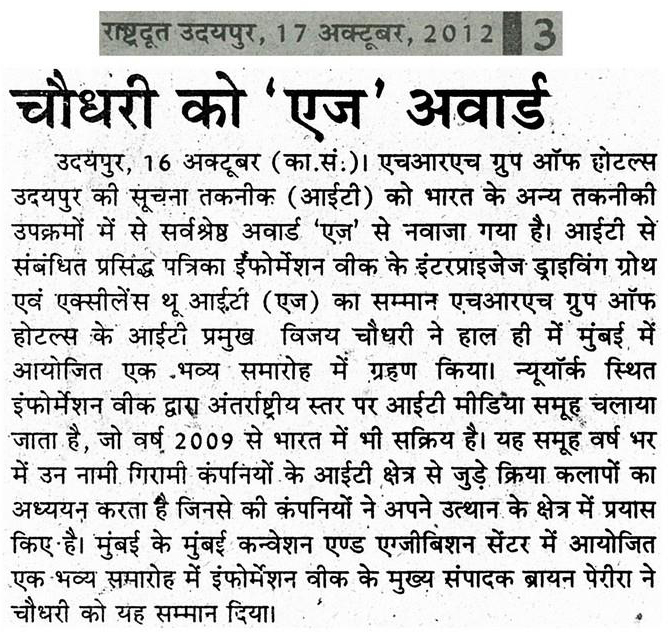 media group headquartered at New York, has presence in India through its Indian edition of "Information week" since 2009. The independent jury for this award includes whos who of the Indian IT Industry, renowned leaders/academician of Management and Technology institutions like IITs and IIMs, and Group Editors of the Magazine. On a bright celebrating evening, it has been given by Mr. Brian Pereira, Editor-in-Chief "Information Week" to Mr. Vijay Choudhary, Head IT, HRH Group of Hotels, Udaipur at the grant ceremony held at "Bombay Convention and Exhibition center", Mumbai on 11/Oct/2012. 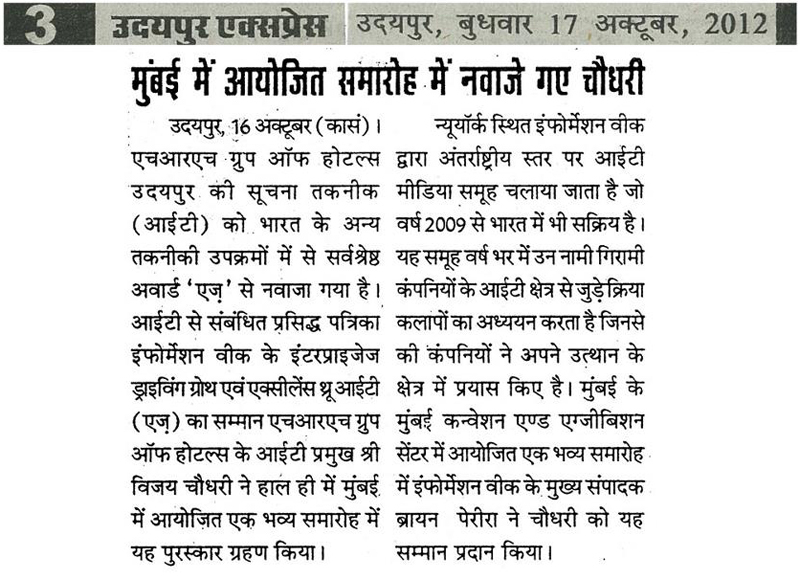 According to Mr. Choudhary, its the result of putting best efforts and hard work continuously by all the team members of the I.T. Department, EternalMewar.